Today, May 17th is the 40th anniversary of the release of the timeless masterpiece, “Rising”, by iconic heavy rock band RAINBOW. The album was the second studio album of the band, featuring legends Ritchie Blackmore (Guitar), Ronnie James Dio (Vocals), Cozy Powell (Drums), Jimmy Bain (Bass) and Tony Carey (Keyboards, orchestron), released in 1976. To pay tribute to this very special event, five Iranian rockers joined forces with Iranian rock and metal music journalist and producer, Mohsen “Stargazer” Fayazi, to cover the brilliant ‘Stargazer’ song, which is indeed like a shiny jewel in the rock music world. After spending about four months practicing, recording, mixing and mastering in their tiny home studios, they made a video from their time together working on this effort. They planned to publish the video online today on YouTube, but unfortunately it was not that simple. “From the very beginning, our goal was to show respect and love to everyone who was a part of that magical record,” commented Mohsen. So to share their passion, he sent an email to Ritchie Blackmore‘s agent to check that it was ok to publish this video online. “It was not as simple as I thought. 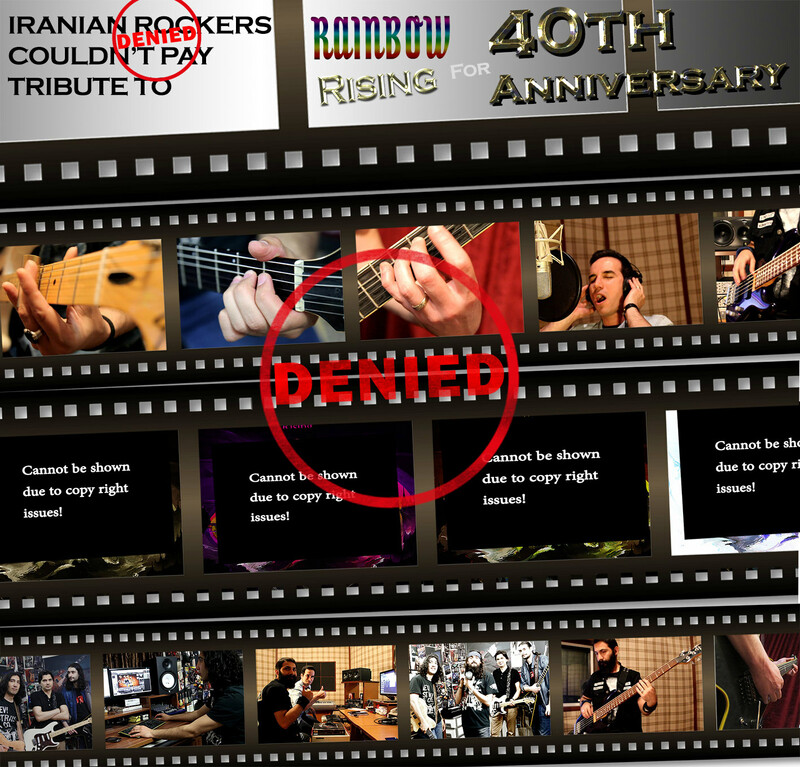 I really had no clue that the copyright of the first two albums by Rainbow does not belong to them anymore,” Mohsen said. He continues “I had to discuss and explain our situation for a few publishing companies and every time a new company approached me, I had to explain it from the beginning. “Art is valuable and good music is priceless and that’s why we spent lots of time and energy on this effort. We decided to not publish the video in the end as we really don’t want to be disrespectful. We had lots of great times working on this project and we celebrated this event with a huge amount of love and passion. We really appreciate what those guys did in 1976 and we truly and deeply miss Ronnie, Cozy and Jimmy, they will never be forgotten. We also would like to send congratulations to Mr Ritchie Blackmore for all great things he has done for the music world! I also would like to thank all the members of this project for their awesome work and passion, you all did an amazing job!